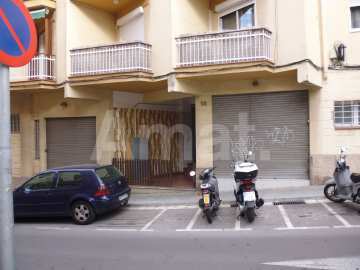 Premise for SALE in BARCELONA situated in ESPLUGUES DE LLOBREGAT. Premise Resale property of 79m2 with 1 bathroom. Place in ground floor located in Esplugues de Llobregat town center, one of the most demanded areas of the Baix Llobregat, beside Barcelona. Surrounded with all kind of comercial services and shops, and pretty good communications by public transport (bus, Rondes, subway, only 15 minutes to the airport and nearby of Esplugues's new Mall. The property, with a total surface of 79m2, is distributed by the following dependences; shop, space for kitchen, bath with shower and 3 bedrooms. Previous business: Beauty center.